The first Africans diagnosed with AIDS were two white gay men who lived in the Johannesburg, South Africa . They were two gay white men; both air stewards who flew the Johannesburg to New York City route. The first man had traveled regularly to the USA in his work, and had lived in New York City for 5 years. He presented in early 1982. The second patient was a sexual partner of the first man, and had visited the USA 3 to 4 months prior to the onset of illness [1, 2]. They died in November and December 1982, respectively – less than a year of developing illness. Both deaths were due to Pneumocystis carinii pneumonitis (PCP), a classical, early-onset opportunistic infection secondary to HIV infection. Thus, as of December 1982, South Africa had a total of 2 AIDS cases. 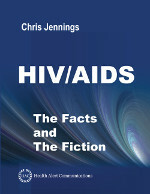 A few months earlier, September 1982, the United States had 593 cumulative AIDS cases [1, 2]. 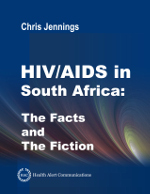 As late as 1985, the appearance two South African men with AIDS in Cape Town, South Africa was still worthy of publication in the South African Medical Journal. The first AIDS patient in Cape Town was an air steward who had lived in NYC. The second Cape Town AIDS patient was a sexual partner of the first patient, and also had lived with him for 5 years . 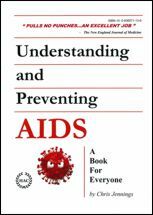 Per the authors of this article, South Africa had “at least 18 cases of AIDS” at that time. Comparatively, the United States had 9,608 cases. In October 1986, a year later, South Africa had 21 cases of AIDS while the United States had 29,003 cases [4, 5]. AIDS is from America. HIV migrated to South Africa from the United States via blood products. In a serological study, two groups of South Africans were compared: hemophiliacs who had received Factor VIII imported from the United States versus hemophiliacs who had received local South African product. 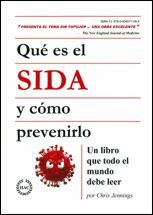 As AIDS is from America, eighty-five percent (85%) of hemophiliacs who received American product were seropositive (n = 55 of 66 people). Comparatively, three percent (3%) of those treated with local South African product were seropositive (n = 3 of 98). Patients had received similar amounts Factor VIII per annum . But What about HIV/AIDS in the Black Africans? The first black Africans with AIDS were not discovered until 1983. All of them diagnosed in Belgium . Note: At the time of sexual HIV transmission events, the cause of AIDS was unknown, HIV not been identified, no medical treatment was effective against AIDS, and the term “AIDS” was not yet in use.